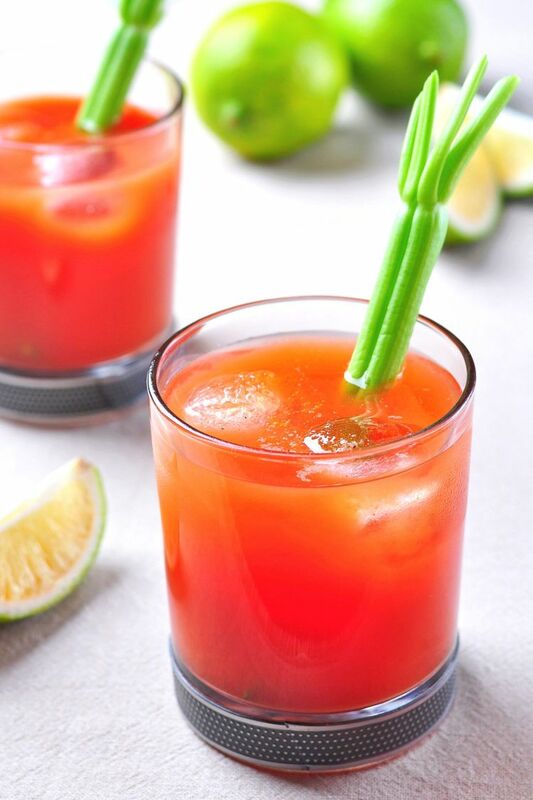 People refer to the Bloody Mary as “vodka and tomato juice”, but it’s actually more complicated than that. The Virgin Mary keeps that same wonderful flavor without the vodka. I based this recipe roughly on that of a bartender I worked with years ago. She made the best Marys, either way you ordered them, because of that touch of beef stock and fresh ground black pepper. Both ingredients are optional, but they give it a hearty flavor. If you’re leaving out the beef stock, or even if you’re not, you might want to try V8 juice instead of tomato. 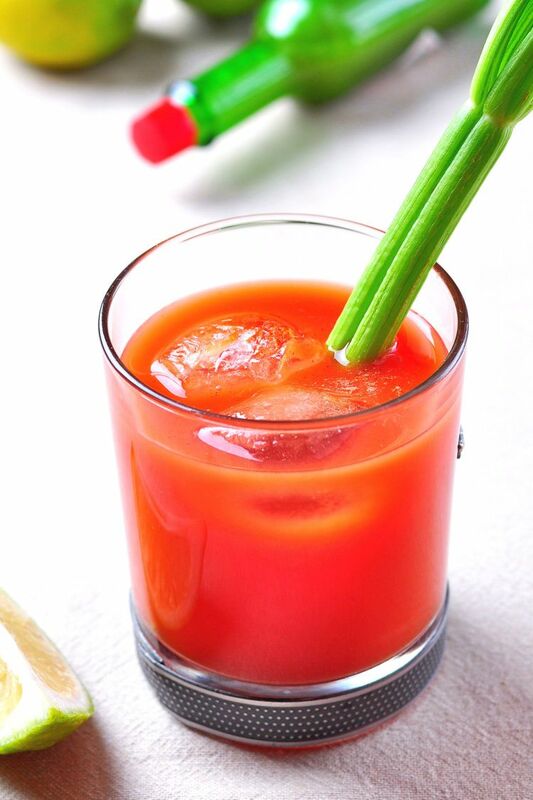 It has hints of carrot and celery that make it richer and less acidic than plain tomato juice. Pour everything right into the glass and stir well. Serve with a celery stalk.